Designer Aart van Asseldonk is a modern craftsman who combines his unique view on design with his eye for quality. The early industrial period is an important source of inspiration for Aart, he strives for the craft and the experience of that time in his own designs. By working with pure and honest materials he wants the original craft that goes with it to prevail. Aart grew up in his father’s workshop. Bringing together craftsmanship and technology inspired him there. Early on he developed a love for the craft process, refined finishing and primary materials such as stone, wood and metal. 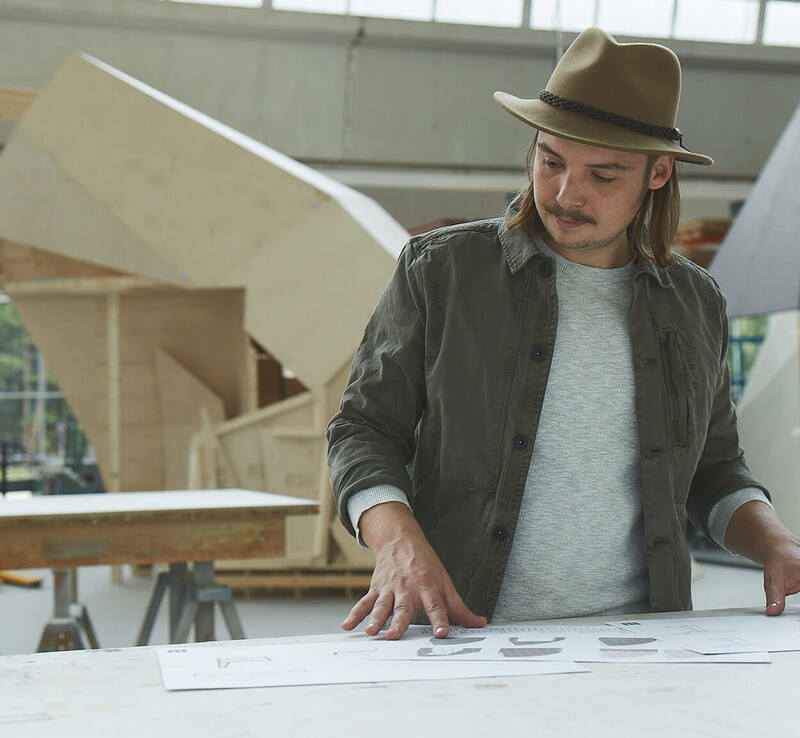 After his education at ArtEZ Hogeschool voor de Kunsten Aart started his own design studio, Atelier van Asseldonk. 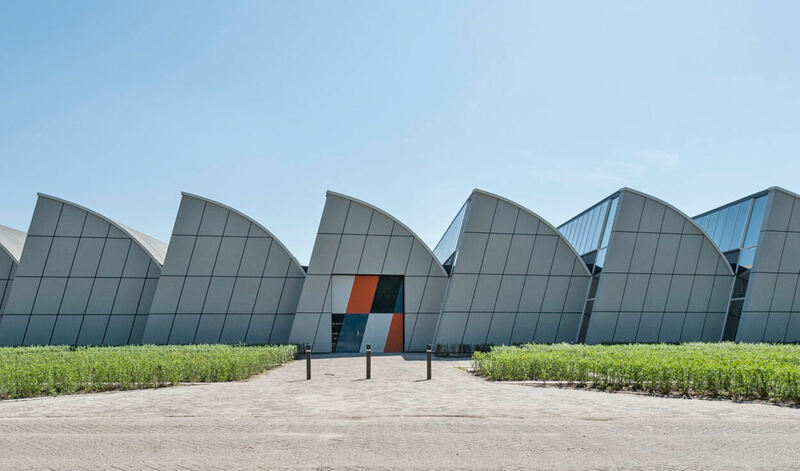 In 2017 Aart renovated the interior design of De Ploeg’s factory in Bergeijk, the only industrial building Gerrit Rietveld ever designed and also Spectrum’s cradle. The iconic building was designed in 1958 by Gerrit Rietveld as a new home base for weaving mill De Ploeg, the company from which Spectrum spun off in 1941. Since 2017 the building has been used by interior builder Bruns, who commissioned Aart to renew the interior. Aart’s modern interior design fits in seamlessly with the austerity that Rietveld also looked for in the architecture of the factory. 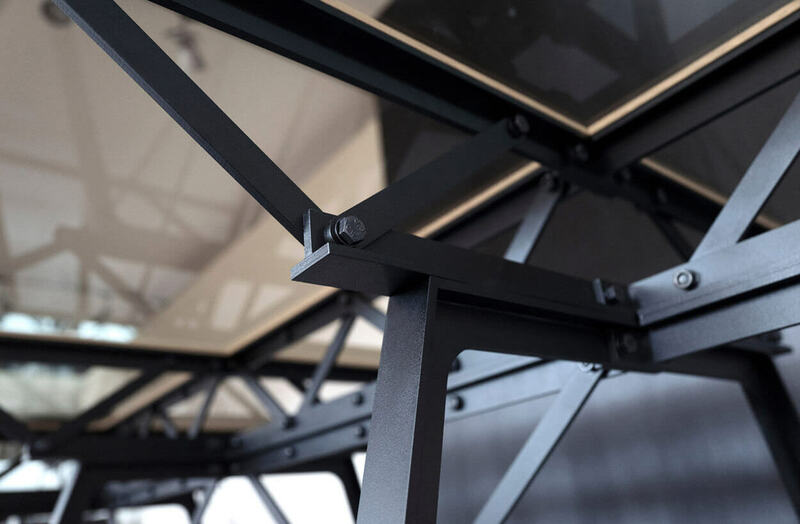 The constructions of the glass facade, the structure of the walls and the complete transparency all through the building were the starting points for Aart when designing the Endless table, which was further developed for the Spectrum collection after a prototype was used in De Ploeg factory. The Endless table consists of a round version and an elongated version. 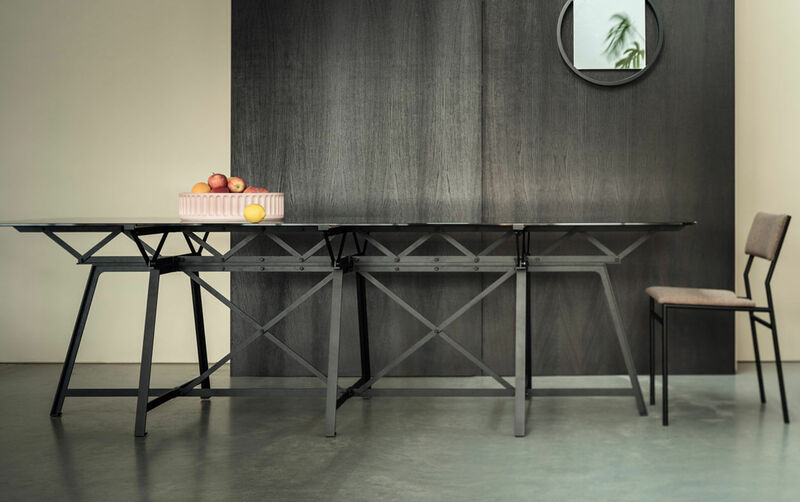 This elongated version can be linked endlessly, making it possible to create custom-made tables.